1. 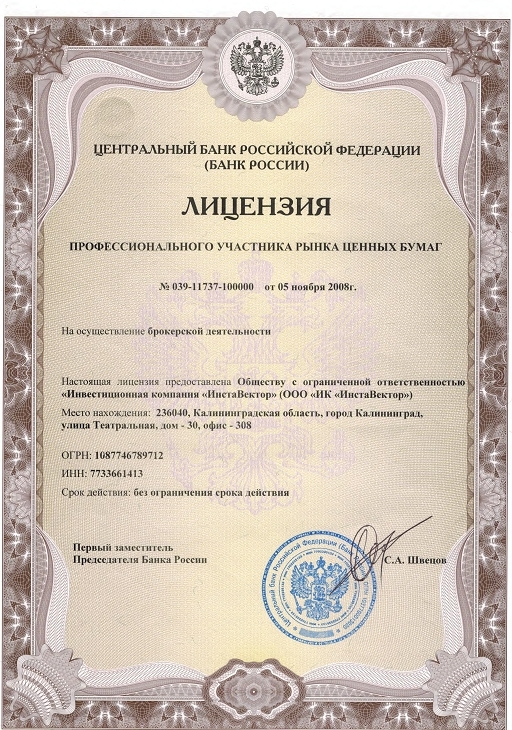 Brokerage license No. 039-11737-100000 of November 5, 2008. No validity period limitation. The license gives the right to conclude an agreement with a client in conformity with which InstaVector buys/sells securities for the account of a client and in exact accordance with his/her orders made in writing, by phone, fax, or email.